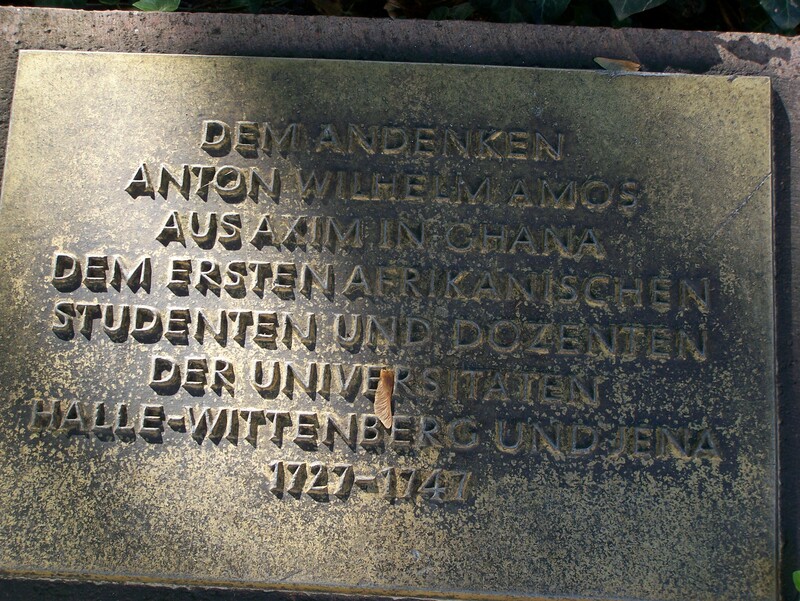 Anton Wilhelm Amo was the first African to study at a Christian European university and became the first African to practice philosophy in Europe since Roman times. He was born near Axim on the West African coast as a member of the Nzema tribe. Most likely he was sent to Amsterdam by Dutch missionaries in order to receive a Christian education, although it is also possible that he was sent as a slave–his brother was certainly a slave. In any event, he was presented as a boy to the dukes of Braunschweig-Wolfenbüttel, who treated him as a member of their family and provided him the opportunity to pursue a career in philosophy. He completed doctoral dissertations at the Universities of Halle and Wittenberg, and he earned a meager living teaching at Halle and Jena. There he became embroiled in fights over the philosophy of Gottfried Wilhelm Leibniz (1646-1716) and Christian Wolff (1679-1754), whose tenets Amo defended and authorities decried. Following the death of a powerful supporter he found his position increasingly embattled, and he seems to have decided that he could not continue his career in the German lands. After being scandalized in public, he returned to Axim around 1747. There is precious little evidence of his final years life except passing remarks that he remained a prominent intellectual in the region and lived for a time at a Dutch fort, perhaps of his own free will and perhaps under internment for some challenge to authorities. Despite his prominence at the time, Amo remained little more than a figure of occasional curiosity after his death. But his career drew new attention in the context of the Cold War, decolonization, and battles over Civil Rights. In the German Democratic Republic, in 1965 the University of Halle dedicated a statue by Gerhard Geyer to Amo (below). By celebrating their African students, albeit in stereotypical terms, they were contributing to a broader government strategy to ally with decolonizing states across Africa. In 1994 the university also inaugurated a scholarship prize in his honor. In the Federal Republic of Germany, from the 1980s Black German activists have held Amo up as an outstanding example of a longstanding Black presence in Germany. Source: Gerhard Geyer, Freies Afrika (1964), image courtesy of Martin Beitz (Halle im Bild). ©Martin Beitz. Anton Wilhelm Amo (ca. 1703-59) by Jeff Bowersox is licensed under a Creative Commons Attribution-ShareAlike 4.0 International License.